"The bottle was made by Pochet et du Courval in the apothecary style and has the "femme drapeaux" motif on backside. But your bottle was created after 1914 because it has the Champs Elysées address. This type of bottle (shape + motif) was still produced in 1917 (but not for a long period, and with a change) and the bottles from the 30's (Cuir de Russie Guerlain) have not the motif. In my opinion you have a WWI perfume based on a formula created somewhere around 1880-1890." The juice inside still smelled good and perfumy. 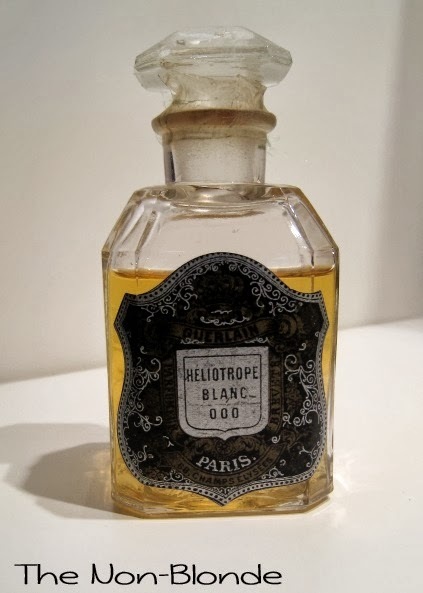 I suspected that whatever top notes Heliotrope Blanc might have had, they were pretty much gone; my suspicion was confirmed when a wonderful reader sent me a sample from her bottle. It smelled the same, just slightly perkier in the opening, while drying down to the same juice as mine. So, what does a heliotrope fragrance circa WWI smell like? Basically, like slightly sweet heliotrope talc. It's a pretty little thing, despite a certain medicinal note (more prominent in the brighter juice my friend sent). Heliotrope Blanc is like almond powder dusted lightly. It reminds me of old French sachets embroidered with a lilac colored thread. As a matter of fact, I might also be smelling something sort of lilacy. The blossoms are so delicate they come apart hwn you touch them, or maybe they're scattered on an old bridal veil that's stored away carefully and lovingly. Heliotrope Blanc is really pretty. The obvious almond scent of heliotrope is definitely there but at no point does it become even remotely gourmand, even as some vanilla kicks in. This is where Heliotrope Blanc differs greatly from its famous offspring, L'Heure Bleue. The latter takes the almond note and runs with it all the way to the pastry shop, getting into a mood and developing deep emotions on the way. Heliotrope Blanc smells more sheer and carefree, perhaps younger. "It was already sold by Guerlain in 1890's and actually it represents one of the first perfumes based on the new synthetic molecule called heliotropine (it smells like almond and vanilla and many Guerlain perfumes used it) like Après l'ondée was based on another similar molecule called aubépine (anisaldehyde or hawthorn). 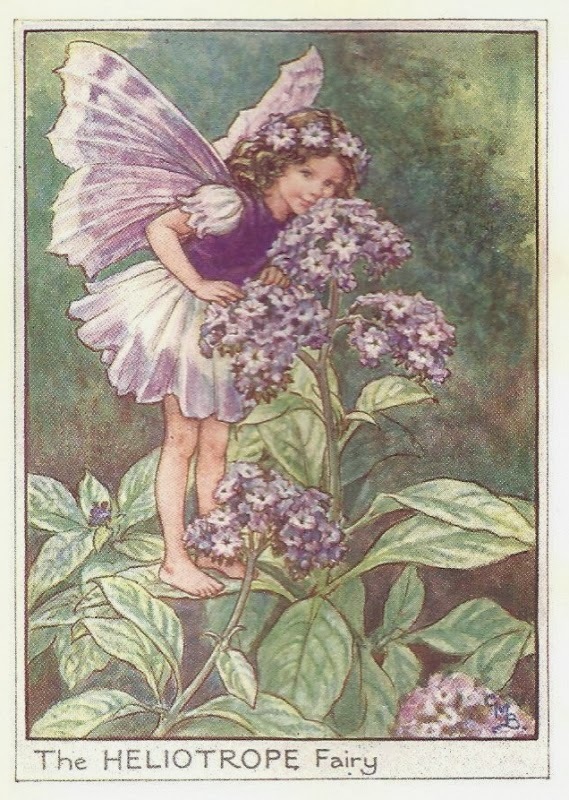 In those early days "heliotrope" became a type of perfume, and one of the first "fantasy" soliflore fragrances. L'Heure Bleue has an important heliotrop note (and heliotropine)." So there you have it: a 100 year old Guerlain found at an antique store in NJ. I wear it sometimes, especially early in the morning before I'm fully awake and ready to decide on my scent for the day. 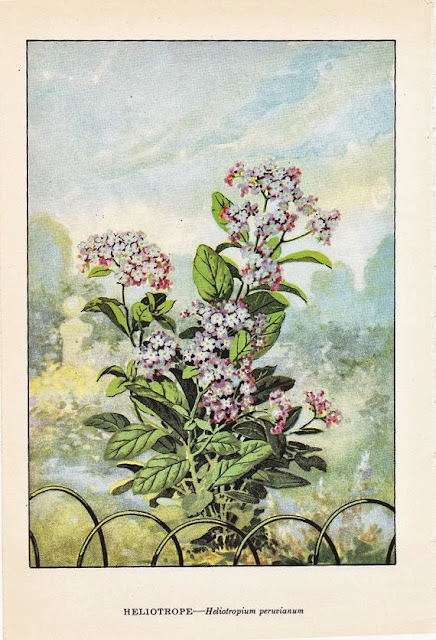 Heliotrope Blanc lasts for a couple of hours, which is all you can ask from this pretty relic. Wow! What a beautiful find! Is that the oldest one you own? I think it's amazing that fragrance that old exists and is actually wearable. Yes, as far as I know this is my oldest perfume, followed by an LT Piver from the 1920s. i lived a few years in the new england area, and really love attending estate sales and browsing the thrift shops around the area. not a lot of perfumes, as i recall, but mountains of interesting and well made clothes, bric-a-brac and leather goods. alas, i was a poor grad student then, and it was more of an estate window shopping, tsktsk. I managed to grab a bottle of the same design, but of Guerlain Double Extrait D' Acacia - half full. I have scoured the internet for info on it, and of course, I landed here. I had visited your blog many times prior, after acquiring a vintage perfume obsession. I find it interesting that I would happen upon my treasure, and find you with yours. Thank you for all the great information.